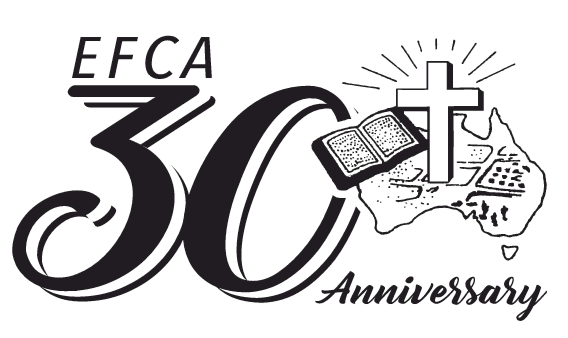 Celebrating its 30th anniversary in 2017, Evangelical Free Church of Australia (EFCA) is a Chinese church in Sydney, Australia with three language congregations (Cantonese, English and Mandarin). Currently, EFCA has six different services at Sydney's North Shore suburbs of Chatswood, East Lindfield and Gordon and attendance of around 800 adults and 100 children. EFCA is prayerfully seeking a Senior Pastor to provide pastoral, spiritual and organizational leadership that enable the church to fulfil its vision and mission in accordance with its core values. The Senior Pastor is to provide leadership of the office staff, pastoral and ministry leadership teams by fostering unity, team building and commitment; envisioning; developing gifts, making disciples and conducting supervision of roles and performance. Oversee effective reviews and evaluation. Lead the rest of the pastoral team in developing yearly preaching plan and ensure worshipful and high standard services. Be a role model, and inspire, teach and grow the vision for local, national and global mission and generous giving. 1. Should fit the qualifications for leadership as recorded in 1 Timothy 3:1-7, Titus 1:5-9 and 1 Peter 5:1-4. 2. Have a vibrant and growing personal relationship with God. Love God and love neighbours and has a deep prayer life. 3. Fully agree with the EFCA's doctrinal statements, mission and vision statements, core values and congregational church governance. 4. Have formal theological training in a recognized theological seminary with a MDiv degree or higher. 7. Demonstrate authentic servant leadership, gifts in Bible teaching, preaching and shepherding and heart to connect with diverse groups of people relationally with patience, understanding, and sensitivity. 8. Love developing leaders by setting godly examples in mentoring, teaching, coaching & training staff and leaders. 9. Passionate, creative and innovative in developing new initiatives to grow and further develop the Ministry. 10. Demonstrate capacity in leading an effective team of the leadership team, EFCA community, sister churches and beyond. 11. Demonstrate commitment in sharing the journey of following Jesus with those who are not within the churches' structures. Willing to reach out and model this to others. 13. Maintain intentional growth in areas of perceived or evaluated weakness. 14. Uphold the pastoral staff role at EFCA as outlined in its Constitution, policies and observe the EFCA Pastors Serving Handbook. 15. Understand and appreciate Chinese culture and able to preach in Cantonese, Mandarin and English. 16. Australian citizenship or permanent residency preferable, and offer will be conditional upon �Working with Children Check' clearance.